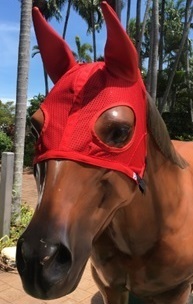 Please be advised that as from 1st March 2018, all trainers are responsible for providing your own set of RED Ear Muffs for any horse requiring this piece of gear to be worn for parade and preliminary purposes only. The Ear Muffs are to be fitted over the bridle which will alert race day officials that they are to be removed at the barriers prior to the race. Trainers intending to use Ear Muffs for this purpose are required to submit a gear change request with Racing Australia as is the current practice. TRNT will be able to supply the Ear Muffs prior to the above date and this can be arranged at the race meeting with the Starter.